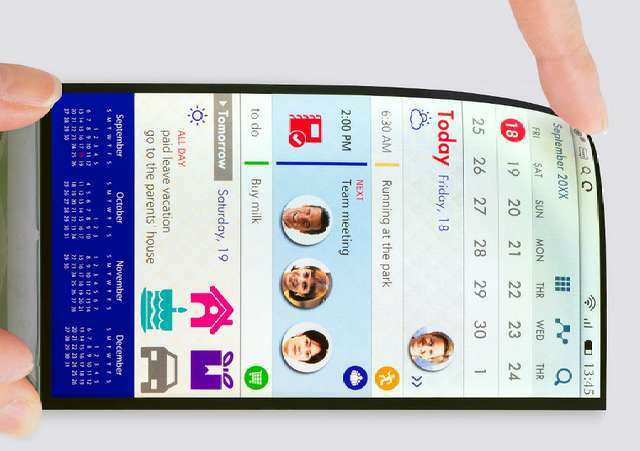 Japan Display Incorporation popularly known as JDI, has introduced a new 5.5-inch LCD display for mobile devices which happens to be the company's first to use "FULL ACTIVE TM FLEX" technology, giving it the ability to bend and flex without breaking. "The FULL ACTIVE TM FLEX made it easily possible to form curved shapes by utilizing its flexibility, and thus it will greatly help to expand the degrees of freedom in smartphone design", according to the company. Instead of opting for glass like most other displays, JDI said it will be using plastic substrate. This narrows down the possibility of cracking when the display is drop, thereby giving it an advantage of a more lifespan as well as durability. With low-frequency driving technology baked inside the FULL ACTIVE TM FLEX, the display can supports as high as 60Hz driving frequency and can go way down to as low as 15Hz, thereby eliminating high power consumption and increasing battery life on mobile devices. The 5.5-inch LCD display will comes with a full-HD (1920x1080) resolution; a contrast ratio of 1500:1, and 401ppi pixel density. Other features includes Photo-Alignment IPS (IPS-NEOTM) LCD mode, 60Hz/30Hz/15Hz driving frequency, and 500cd/m2 (Typ.) surface luminance. Mass production of JDI new 5.5-inch full-HD flexible LCD display will kick-start in 2018.